This isn't a report and this isn't speculation. Anthony Davis wants out of New Orleans and he wants out now. In a bombshell announcement straight from his agent Rich Paul to ESPN's Adrian Wojnarowski, Davis, the Pelicans' All-Star center, has requested a trade from the team that drafted him out of Kentucky in 2012. When is the NBA trade deadline? The announcement from Davis' agent comes just over a week before the NBA trade deadline, which is Feb. 7. 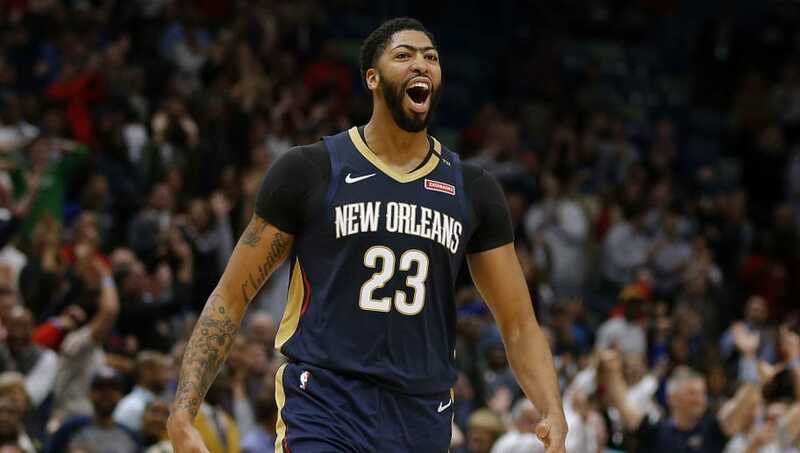 Davis turned down a long-term contract extension from the Pelicans and is intent on competing for a championship now, something he's in no position to accomplish with the New Orleans Pelicans. Davis is eligible for a supermax extension, which would pay him around $240 million over a five-year contract. However, if he's traded, he would no longer be eligible for the extension. Davis signed a 5-year, $127 million contracts in 2016, which included a player option in 2020. Davis is actually doing the Pelicans a favor by telling them he wants to be traded now. Unlike last offseason when they got nothing for Boogie Cousins when he signed with the Warriors, Davis will command a massive return as one of the top 5 players in the league. Anthony Davis requesting a trade, as @wojespn has reported, gives teams other than Boston a chance to get involved before the trade deadline while Boston can’t because it already traded for Kyrie Irving while on a Rose rule deal. Celtics arguably can offer the best deal for him. ​​The Celtics and Lakers are likely the top spots where Davis wants to land, however, LA has little they can offer the Pelicans outside of Lonzo Ball, Brandon Ingram and Kyle Kuzma. A player of Davis' stature (five-time All-Star, three-time All-NBA team selection) carries more weight than all three of those players combined. Meanwhile, the Celtics traded for Kyrie Irving while on a Rose rule deal so they couldn't trade for Davis until this summer unless they traded away Kyrie Irving. So where Davis actually winds up remains to be seen. It's going to take multiple high draft picks for this trade to get done, but at this point, it seems a matter of when and no longer if Davis will be moved out of New Orleans.